If you’re getting started in the Cryptocurrency trading world, it’s only a matter of time before you’ll learn about Bittrex. Bittrex exchange is one of the largest in the world, supporting many dozens of trading pairs and boasting millions of active users. Bittrex is a mainstay for new and experienced crypto traders alike, and anytime a new coin gets added to Bittrex, you can bet there will be a spike in its value. In this Bittrex review, we’ll show you what Bittrex is, how to sign up with Bittrex, and how to use Bittrex once you’ve registered your account. Before you create a Bittrex login, let’s cover in this Bittrex review the identity and place of this exchange in the cryptocurrency industry. In the traditional stock market, there are many different digital marketplaces where a user can buy or sell stocks, without ever calling a broker or leaving their home. Cryptocurrency exchanges work the same way, but rather than trading fiat currency for shares in a company (as with the stock exchanges), people use cryptocurrency exchanges to trade one type of cryptocurrency for another. There are exceptions, like Coinbase, which allow users to trade USD directly for certain cryptocurrencies. Bittrex has never been this kind of exchange, but there are rumors that this is going to change in 2018. 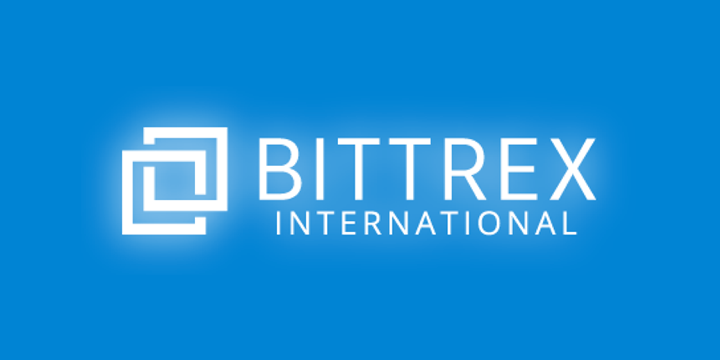 Bittrex has been at the forefront of cryptocurrency trading since its inception in 2014. We expect them to use new methods like fiat purchases to remain at the head of the game, and a place to start for new traders. We’ll go into greater detail before the end of this Bittrex review, but for now let’s simply make it understood that Bittrex users use popular cryptocurrencies like Bitcoin, Litecoin, Tether, and Ethereum to trade for rising cryptocurrencies like NEO. Users get these trading currencies from exchanges that accept fiat payments, like Coinbase. Then they send Bitcoin (or Ethereum, Litecoin, or USDT) to their Bittrex wallet, at which point they’ll be able to trade these currencies for any other digital currency supported by the Bittrex platform. Which Cryptocurrencies Does Bittrex Support? Whether or not you recognize any, some, or most of these coins, the complete list is illustrative of the reality that Bittrex supports a ton of digital currencies. Many of these are tradable nowhere else, so if you dig deep into cryptocurrency, you’re bound to get to Bittrex sooner or later. We hope you see a few of your favorite coins on this list. While other cryptocurrency exchanges have complex fee structures, with different rates applying to different customers, Bittrex exchange keeps it simple. They charge a simple 0.25% for all trades. That’s it. You can easily find another exchange that’ll wheel and deal for different kinds of trading activity, but you won’t find a more straightforward exchange than Bittrex in this regard. Bittrex is slightly more expensive than some other major cryptocurrency exchanges, notably Binance, but their prices are more or less in line with the bulk of reliable exchanges, and only high volume traders will see an appreciable difference in their bottom line using Bittrex over one of its competitors. By now you probably want to create a Bittrex Login of your very own. Unfortunately, things are not that simple. You see, Bittrex is suffering from too much of a good thing: excessive demand from new traders. The Bittrex technology infrastructure is straining to keep up with the incredible demand of new and existing traders. This is not a scenario unique to Bittrex. In recent months, Kraken, Poloniex, and even briefly Binance have had to put a stop to new user registrations. The Bittrex ban on new users is ongoing. However, you can still apply for a membership, if you meet certain criteria, and your account will be evaluated by the Bittrex team. Start by going to Bittrex.com and clicking “Sign Up”. You will be taken to the following page, with this message from the Bittex team. Click the blue button beneath the message to apply for a membership. From here, you’re on your own and we wish you the best. Hopefully Bittrex will open general signups again soon! Every digital currency must be stored in a digital wallet. Digital wallets are any pieces of software that store cryptocurrencies, and which enable (at least) long term holding, sending, and receiving. Bittrex has a wallet available for every coin bought and sold on their exchange. Because you’ll need a major currency like Bitcoin to trade for the smaller coins on the Bittrex exchange, let’s show you how to send Bitcoin to your Bittrex wallet. Start by going to Coinbase and buying Bitcoin. While we’re waiting for your Bitcoin to arrive in your Coinbase wallet, let’s look at Bittrex more closely. First, go to “Wallets”, which is a navigational button seen at the top right of the Bittrex homepage screen. It will take you to a page with all of the wallets in Bittrex. Your Bitcoin wallet will be right at the top, like you see in the image below. Click the Plus sign beside the Bittrex Bitcoin wallet. This indicates that you wish to deposit Bitcoin to this address. The following pop up window will appear. Notice the “Address”. This is your unique Bittrex Bitcoin address. Copy this and go back to Coinbase. Choose to “Send” your Bitcoin to this address. Once you’ve confirmed the transaction, your Bitcoin should arrive in Bittrex in less than half an hour. You can use this process to Send or Receive any coin to or from the various Bittrex wallets (Bittrex Iota, Bittrex XRP, etc.). You’ll be using the Bittrex wallet system a lot the more Bittrex trading you take part in. If you’ve managed to create a working Bittrex login and deliver your Bittrex Bitcoin to the right wallet, you’re now likely chomping at the bit to do some Bittrex trading in your new Bittrex account. Once your Bitcoin has arrived in your Bittrex wallet, “B Markets” and choose the coin you want to buy. We’ll use TRON for this example because Bittrex TRON trades have been so hot recently. You’ll be taken to this page (or a page very much like this for other coins). There’s a lot of information on this page, but it’s easy to understand once it’s explained clearly (which we’ll try to do right now. Let’s first look at the candle charge. This shows the recent price action of TRON on Bittrex, with price measured in Bitcoin. Each candle represents 30 minutes, but you can use the little drop-down menu to choose other periods of time, like 5 minutes of a full week. Each green candle indicates that, within that 30 minute period of time, the price of TRON rose. Each red candle means that the price fell during that given period of 30 minutes. On the right side of the screen, you’ll see current information about the prices people are buying and selling TRON for right now (the lowest ASK price and the highest BID price are always shown, corresponding with Sell and Buy orders). 24H highs and lows are also shown, as well as 24-hour volume, and the last trade completed with price. The most important information is at the bottom of the screen, under “Trading”. Here you can buy and sell TRON on Bittrex. Because we’re buying, let’s look at the left side of this part of the screen. We’ll show you a close up below. This is the menu you use to buy on Bittrex. First, fill in the price at which you would like to buy a single TRON. You can choose this price by looking at the prices at which TRON is currently selling. You can even copy and paste it from the real time values we discussed in the previous section. Remember to choose the price you want to pay for 1 TRON ONLY! Above this value, type in how many TRON coins you want to buy at the price indicated below. If you just want to spend all of the Bitcoin you have, click the blue “MAX” button. Then, your Total will be displayed at the bottom by “Total”. If you like this price and are comfortable with this order, click the blue “+ Buy Tron” and your order will be completed. Your TRON will be found in your Bittrex TRON wallet, under “Wallets”. As always, it’s important to download the official wallet associated with any currency you buy on an exchange like Bittrex. Bittrex wallets are not meant for long term coin storage, because hackers are always at work to steal coins from Bittrex. Instead, send them to your own digital wallet on your own device, where they will be much more secure. By now you’ve heard all about Bittrex. You know how to sign up, send Bitcoin to your Bittrex wallet, and buy and coin of your choosing. We hope your experience using Bittrex exchange is smooth and intuitive. We also hope that the investments you make using the Bittrex system turn out to be very profitable in the long run. Bittrex may not be the newest cryptocurrency exchange on the block, but it’s one of the most trusted and well supplied with a diverse array of coins. Bittrex isn’t going anywhere anytime soon, and the promise of fiat trading in 2018 is raising even more interest in this long-trusted cryptocurrency exchange. Use Bittrex with confidence!